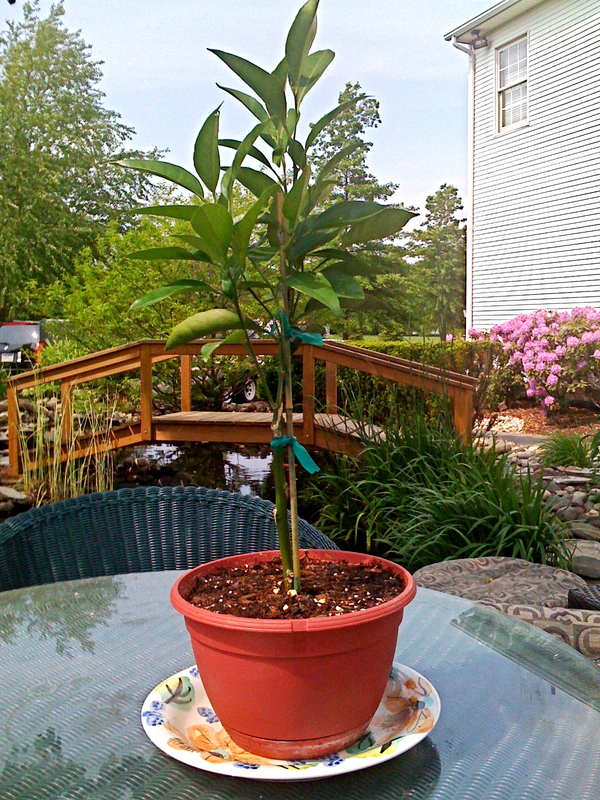 The Gift that Keeps on Giving (after 2 years)- An Orange Tree! 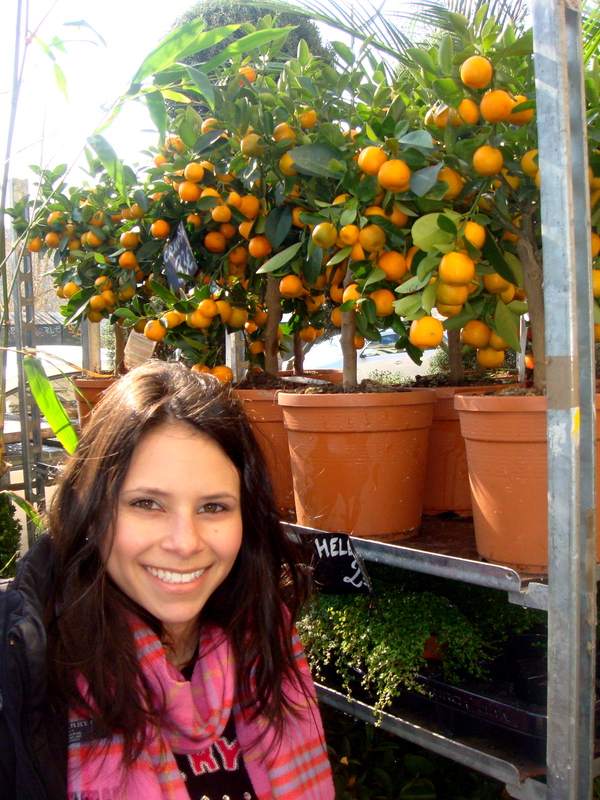 When I was in Paris, I noticed that a lot of people had the cutest little orange trees in their windows. I wanted one badly. I thought it would look perfect in a kitchen with white marble countertops and sunlight streaming in through the windows. 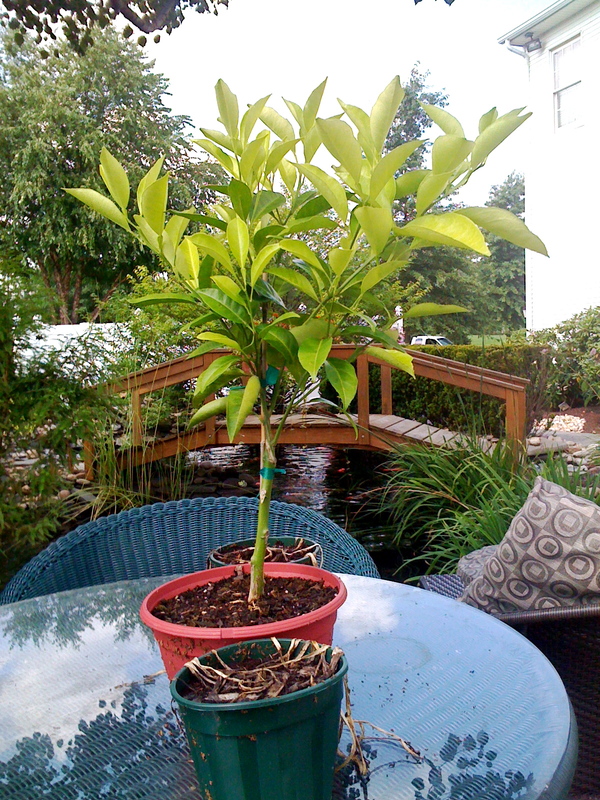 I didn’t have a kitchen at the time or anywhere else to keep a cute little orange tree. So instead, I bought one for my mom for Mother’s Day. Mistake. I ordered it online and had it shipped to her house. I was really excited about the tree and had a hard time keeping it a secret. But my mom wasn’t too thrilled when the twiggy tree arrived, barren of fruit. She was less thrilled when she read it would take about two years before it would grow oranges. Oops. At this point, my dad took ownership of the tree. 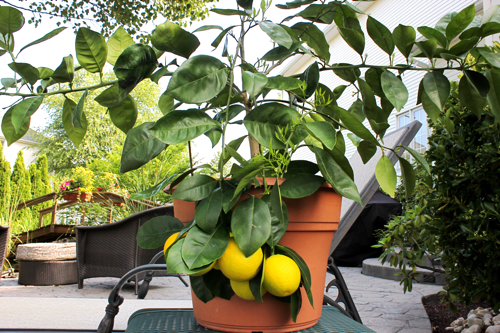 He watered it and set up a sun lamp growing station in the house. The tree thrived and grew quickly. So quickly that it soon surpassed the size of the cute little trees I remembered from Paris. After about a year and a half, the tree started to blossom. The flowers were big and white and smelled wonderfully like jasmine. It turns out that my mom hates the smell of jasmine…best present ever! Eventually, those flower blossoms turned into little green balls. And those green balls got bigger and bigger until they started to look like oranges. And then, they started turning orange! A few of them fell off early, so we ate them! They turned out to be pretty good. 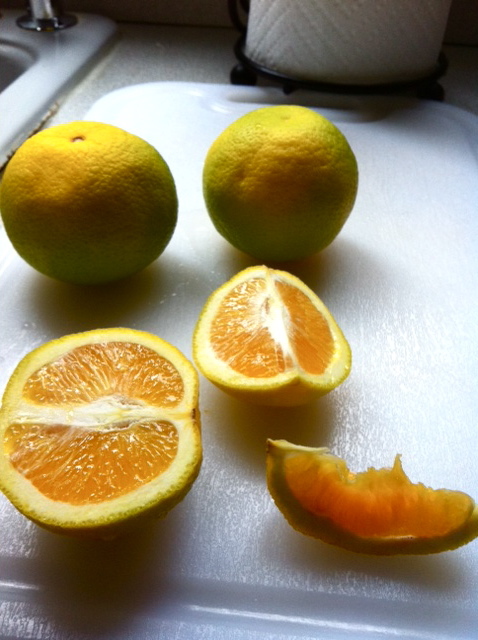 They were sweet and shockingly like real oranges! I am so excited for the other ones to fully ripen so we can eat them up too. My mom loves having the orange tree now. The moral of this story is not to buy your mom any gift that takes a lot of work but doesn’t give any rewards (for two years). 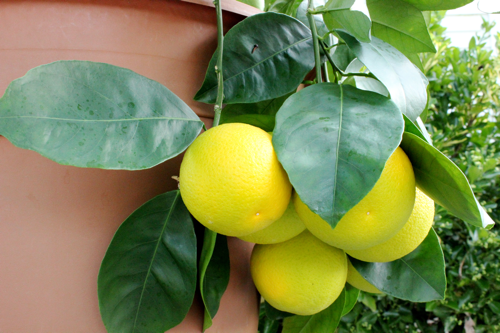 However, this whole experience has made it really fun for me to threaten to buy her a lemon or kumquat or grapefruit tree. Pretty much whenever we eat a good piece of citrus, I ask if she wants a tree. Her reaction is always priceless!